Fairtrade. Bake it for a special occasion. Suitable for vegetarians and vegans. 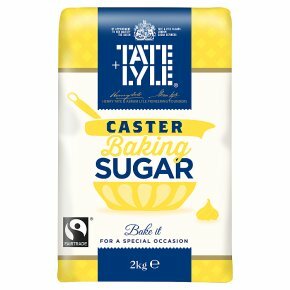 Kosher - KLBD-P.Taste & Smile Whether you're making cakes, sponges, mousse or meringues, get creative with Tate & Lyle Caster Sugar. For all your baking wants and needs, it's the sweet ingredient in any kitchen.